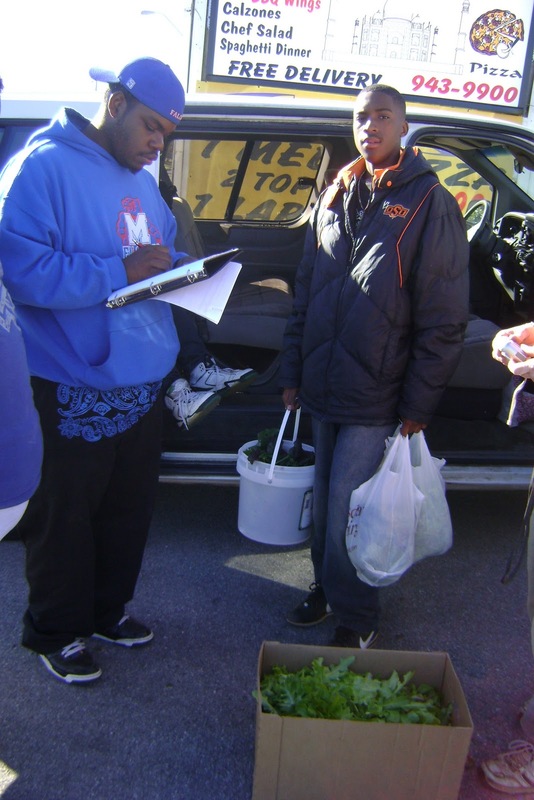 On a chilly Saturday morning we all met at CYO’s farm site to harvest the result of our early fall labor, salad greens! 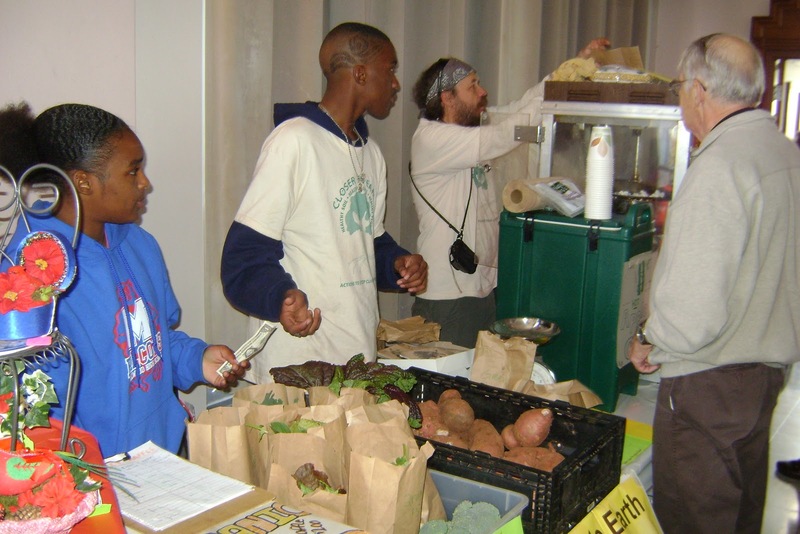 Our youth harvested all of the ripe lettuces, mustard greens and Asian greens. Allen, the kids and I loaded up in the van to share our fresh produce with OKC. Our first stop was to a local restaurant the Red Cup. Four youth, carried buckets brimming with greens into the restaurant- everyone was interested in what was going on. The Red Cup purchased the food they would use in their menu and we continued on to our second stop, Other Options food pantry. 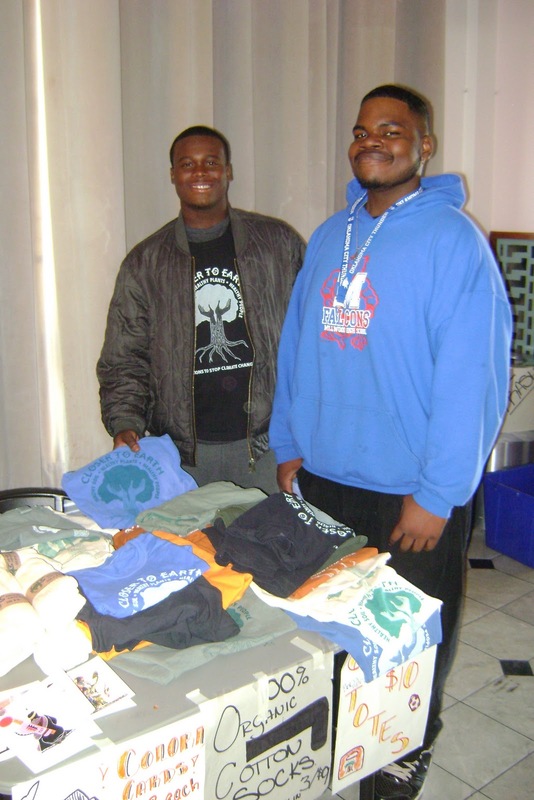 Other Options is a local non-profit organization supporting people living with HIV/AIDS. In the van on the way to Other Options the youth had several questions about the people they were going to come in contact with. Were they going to see people with AIDS? Could they get AIDS from being there? We discussed how HIV is transmitted and assured the youth they would be safe delivering the food. We washed and packaged our greens at Other Options. 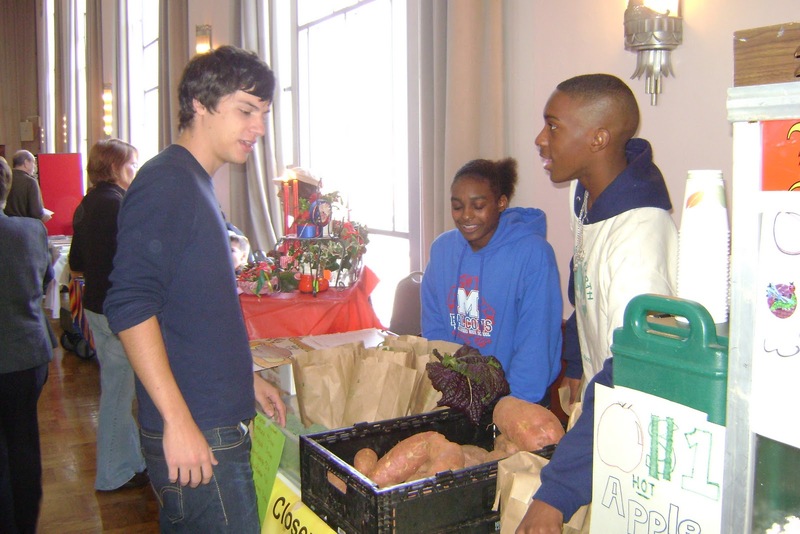 The youth interacted with the managers, volunteers and clients in the food pantry. As we walked out of the front of the office we passed by their clothes donation section. Chris said “Can I bring them my old clothes, I have lots of clothes I don’t need”. Back in the van I asked how they felt about the experience, if the people they saw looked strange or sick, and if they would like to do this again. They all responded they really enjoyed the experience. They wanted to do it again and were shocked by how normal and nice all of the people in the pantry were. We talked a bit more about stigma and discrimination of people living with HIV effects our society. Our third stop of the day was to the OSU/OKC farmers market. 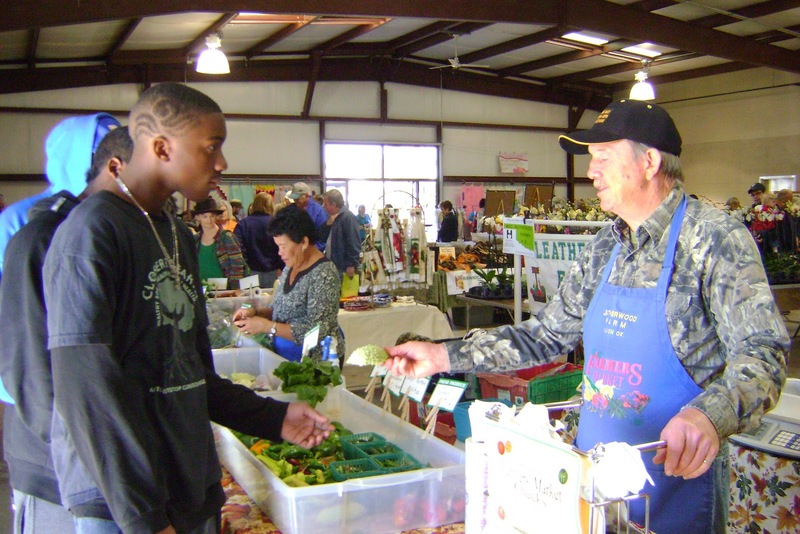 The youth explored the farmers market, asking farmers questions about produce, seeing how produce was presented and checking prices of produce. What an exciting, empowering day for all of us! We cant wait to do it again! Hurry the Cold is Comming! We have been VERY busy on the farm this past month. We decided not to till our 1/2 acre plot of land so we have been working it by hand with a broadfork, removing old crops, removing plastic mulch, and pulling out weeds as we go. We are cover cropping with a variety of green manures including: Austrian winter peas, rye, an edible winter mix, fava beans, and garbonzo beans. We are a bit late in the season for planting- but we are going for it- trying to improve our soil. I have been throughout impressed by the kids persistence in the hard labor of broadforking. cheap finasteride 1mg. We are also starting production inside the greenhouse. Last week we planted our first round of lettuces and greens! We are still experimenting with seed, growing medium and container. So hopefully we will have a wonderful salad mix to market in a few weeks! Also, our greenhouse is getting a new cover! We were hit hard by the hail storm last spring and our double layer poly cover is in no shape for winter. This Saturday we are having a recover work part at the farm, come join us!